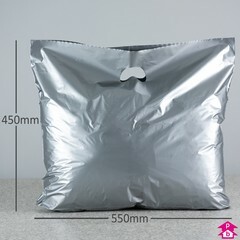 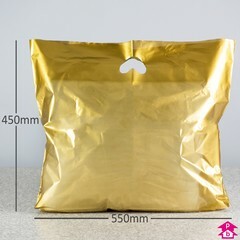 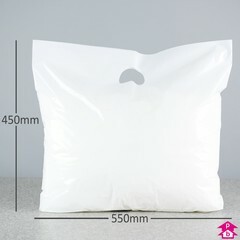 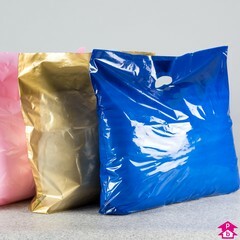 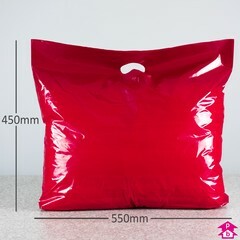 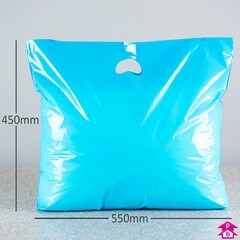 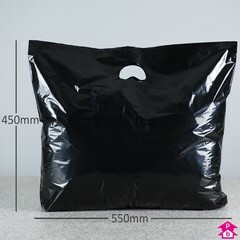 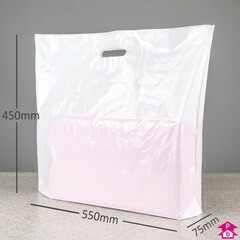 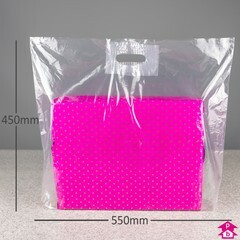 Large colourful varigauge and patch handle carrier bags with bag widths from 22" (550mm) to 26" (660mm). 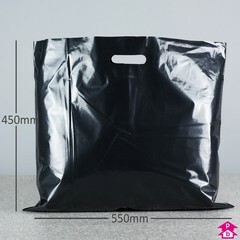 Simple, cost-effective and bold. 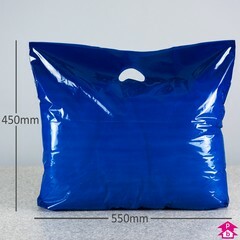 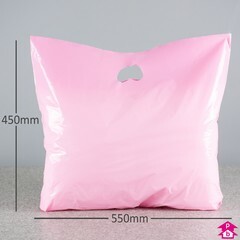 (For something even larger try our Jumbo Carriers).